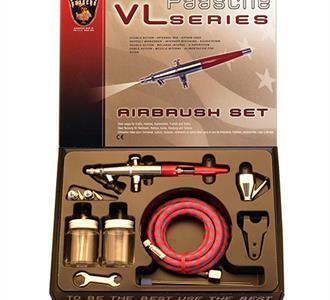 Paasche's Deluxe kit includes the airbrush, two tips for thin to thick liquids, hose, tool kit, cup load, three bottles, and instructions. Just press down and spray. Excellent for beginners and a great value! Use the power of your breath to quickly and easily spray glazes or oxides on your clay work! Inside the metal container is a tiny tube fromthe bottom to the top. 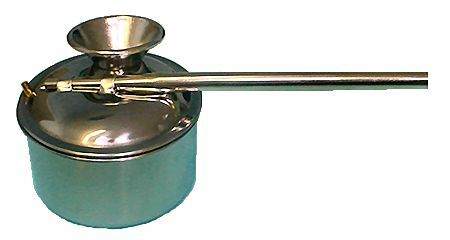 When you blow through the top pipe, your breath creates suction that pulls the liquid up through the vertical tube and the liquid exits the sprayer as a mist. 100 ml. Rugged, compact in size and easy to assemble. Come equipped with a 115 volt fan. It is not intended for use with hazardous, flammable or explosive materials. 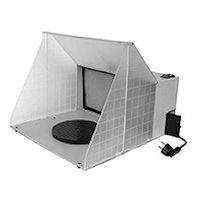 This portable booth by Paasche uses galvanized metal for easy cleaning and durability. Working dimensions are 22"wide by 16" high, perfect for small studio spaces. Noise level is 47 Dbs. Special order only. We will call you when it ships out to you. Compact, lighweight, and portable with its ability to fold up for storage. High density filter sponges for most paint and moisture. Powerful fan with fiberglass filter and relatively quiet motor. 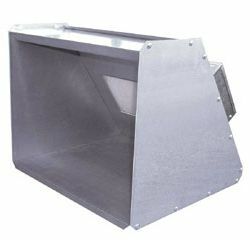 25W power, 110-120V/60Hz, 7-5/8" turntable and hose extends from 27.5" to 67". Special order only. We will call you when it ships out to you. 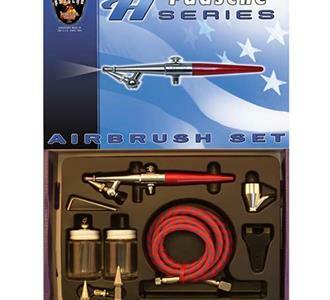 At 1/8 horsepower, the oil-less D300 piston compressor delivers 20-40 PSI, depending on which airbrush you use. 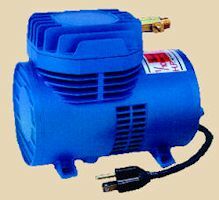 Uses standard 110 volt power to give .4CFM at 20 PSI. Recommended for the PH100 and PH200 - not suitable for the PH300. 8' Braided Air Hose with couplings. Has 1/4" NPT couplings on both ends. 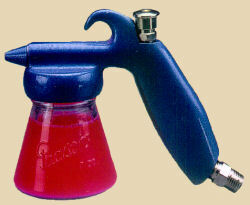 This fits Paasche's PH300 large sprayer.